This 2013 Spring and Summer Converse collection is colorful and fresh as always and their iconic models have been updated with prints, decorations and original details that make them the most loved, copied and collected sneakers in the world. If you’re thinking of buying a new pair of Converse here are a few of just some of the coolest models that Converse has launched for this Spring and Summer. 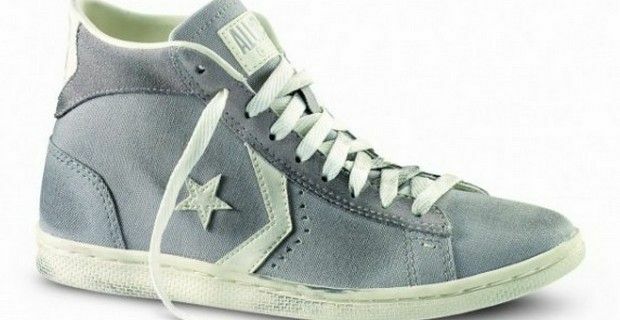 Take the classic Chuck Taylors All Star Player, both hi and low tops can be found in a fascinating array of pastels, prints and washed canvas that always makes choosing a task, as you’d like to take every one home. There are also military camo prints, the US Stars and Stripes flag, the floral Hawaiian print featuring a romatic hibiscus flower or the bold, vibrant Marimekko’s prints by the Finnish design house. Let’s not forget the spectacular animal printed sneakers and the very summery Chuck Taylor All Star Gladiator sneakers, or the more feminine ballerina’s that comes in four basic colors or the washed canvas espadrille (Chuck Taylor All Star Espadrille). John Varvatos continues his collaboration with Converse and debuts his Chuck Taylor Nail Stud with metal studs and stars sewn on the leather and features a translucent signature JV outsole, and the Chuck Taylor All Star Platforms Hi-Ness wedged sneakers are a must for any girls wardrobe this year, who wants to rock even with a pair of sneakers. One of the newest Chuck Taylor’s are the Side Zip, which has a zipper along the inner contour of the sneakers, as the name suggests, to complete the silhouette. The Chuck Taylor Side Zip is available in both bright colors and pastel colors, including yellow, pink, orange, graphic vintage. Converse has also introduced the streamlined Chuck Taylor All Star Shoreline, a very feminine style with elastic back for easy-on, easy-off access.